An 'Effective International Schools Series' publication. This helpful book addresses the issues of Special Educational Needs within the context of international schools. Effective Learning Support examines proven means of setting up effective learning support at international schools, providing an invaluable resource for school administrators as well as teachers and parents. 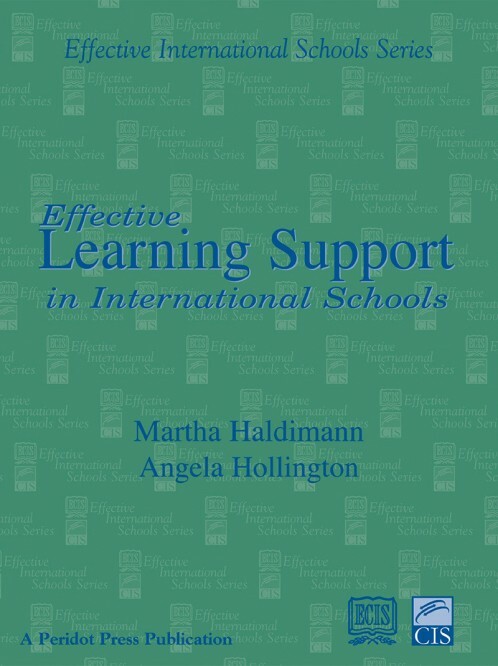 The authors, Martha Haldimann and Angela Hollington, have between them over four decades of experience in the field of international education. 'This helpful guide will enable international school administrators, specialists and classroom teachers to carefully consider the needs of talented students and those who learn differently. This comprehensive and thoughtful book is an outstanding contribution to classroom teachers who want to reach all of their students and optimize learning experiences for all.' Sally M Reis, Department Head, Educational Psychology, Neag School of Education, University of Connecticut, USA.